December of 2017 brought major changes in Vigo. 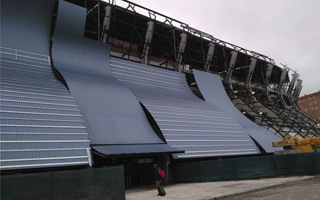 The main grandstand (Grada Rio) received its almost complete new roof, which premiered during the January 4 Copa del Rey game against Barcelona. While still in need of structural work, the roof is almost finished. Installation of the precast modules began in November and, despite safety revisions and temporary removal of parts of it, the cover is now almost fully mounted atop the stadium. Now installation work is ongoing primarily on the southern facade, where undulating cladding is begining to cover the old concrete structure. 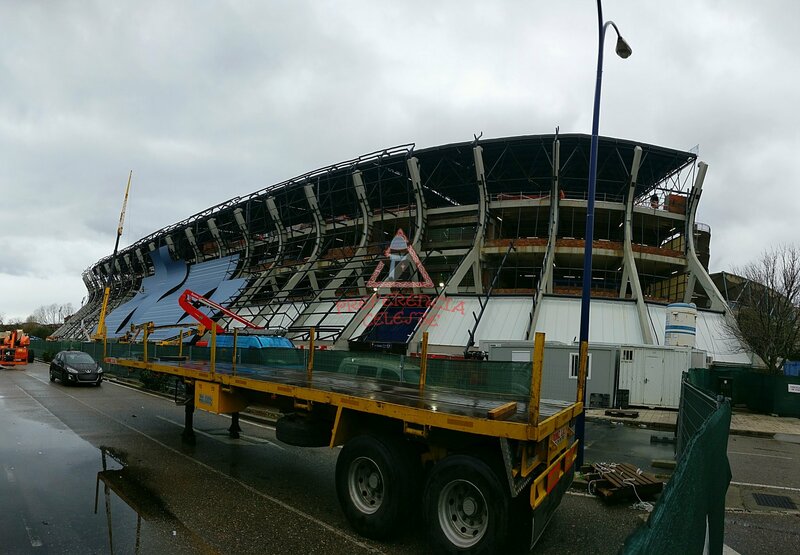 We should see the final outcome by late February and we can now show you the progress better, courtesy of Preferencia Celeste, who continuously monitor the project. In February work should also end inside the stadium, though it has to be noted that reconstruction at two existing stands has been only partial, much to the disappointment of some supporters. However, it's anticipated that once works are finalised Celta Vigo will take care of necessary furnishings to make the ambience more in line with fans' expectations. So, by February the reconstruction of Balaidos will, at least in theory, reach the half-way mark with two out of four grandstands. However, the two revamped so far have not been built from scratch, while both ends await complete reconstruction. And it seems they will have to wait a bit longer than anticipated. Offers in tender for their design were due to be opened on January 3, but the tender is on hold as it was appealed against by the Architects Association of Galicia due to what they see as arbitrary requirements of the municipality. This means we shouldn't expect actual construction works to begin sooner than in the first quarter of next year.